Here is e-mail information about how to contact Roy Cook. 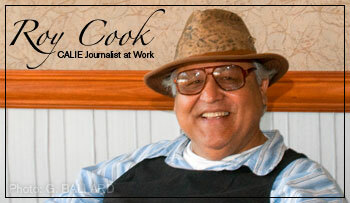 ROY COOK is a seasoned Native American California Indian writer, singer and speaker with a long professional history in greater San Diego County Indian country. To contact Roy Cook by email, please use the convenient form at the bottom of this page. Roy Cook is of the Opata-Oodham, Mazopiye Wishasha Indian tribes of North America, southwest USA border region of Mexico and San Diego County. ROY COOK has extensive news and feature articles published on his INDIAN NEWS ARTICLES BLOG.